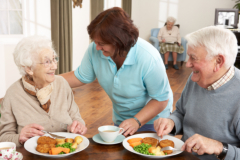 Advent One Home Care Agency has been serving Dallas, Texas for many years, providing excellent in-home care services to numerous elderly, weak, and disabled individuals right in their own homes. Through our wonderful in-home care services, senior citizens and many others are taken care of properly while their loved ones and families’ worries are lifted up. Our in-home care services range from Companionship Services to Short Term-Recovery, Alzheimer’s Care, Arthritis Care, Home Helper Services, Personal, Transportation and many others. All of these are guaranteed very cost efficient and the quality is superior and unlike any other home care provider. You may contact us at 214-503-6854 for questions and concerns.